Recently, I went to Dubai for a quick transit trip. I hadn’t been back to Dubai in 18 years at that point. I had spent some of the happiest years in my teenage years in Dubai, and then we left when I was 16. It was a bittersweet end to a few brilliant years in the country and I always had this desire, this internal wanting to go back – to go visit my childhood place, the country where I had made so many beautiful memories. A few days ago, I got that wish fulfilled. I was going to visit my birthplace, India, for 3 whole weeks, and we were going to transit through none other than Dubai. Wow, what a coincidence. Could this be a sign from the universe? Telling me perhaps that I can go back and capture those years and memories from the past. Of course, you know where this story is going. As the taxi drove us around the hot concrete jungle that is Dubai, I felt a pang in my heart. This is not my Dubai. This is not the place that I remember in my heart – the place that I had been dutifully storing in my memories for so long. It was an imposter! I felt angry, and betrayed. I felt hurt, and confused. The past always tries to pull us back. Instead of actually enjoying the city of Dubai, as it is right now, I wanted to travel back in time. I wanted to go to my favourite Shawarma spot, that no longer existed. Or I wanted to visit my old high school, which has probably transmuted and transformed into something completely different (it’s Co-Ed now). Instead of seeing Dubai as beautiful, because it has become this shiny new tourist hub, I wanted to go back to the Dubai of the past. For a few hours, as we drove around, I was angry and resentful of this new Dubai. It was ugly! So ugly. And terrible for taking my old Dubai away. How could it? How could it be so cruel? I wanted to punish it. I wanted to leave right away, and never come back. In essence, I ruined the few hours of transit time that I did have in this beautiful coveted city of Dubai. I’m sure you think I am being a little overdramatic, but this happens to the best of us, when we encounter something that we thought would have stayed the same as our memories forever, and hasn’t. I know this has happened to me with old friends who changed, family members who transformed, and of course, places from my past that grew to something else. Everything I read about memories proves to me that our memories, things that we believe are set in stone, that have actually happened exactly as we imagined, are completely distorted and actually probably only partly true (if at all). Human beings have a really awesome power of changing the past to suit their needs. I changed Dubai in my head to be this magical place, forgetting all of the times as a child I was sexually harassed and molested in the streets by sexually repressed men. I forgot that it was so hot all day that I couldn’t play outside. Interestingly, I had to make up random games with my sister and brother indoors. Until the sun set and the stifling heat dissipated. I forgot that Moreover, I had no time to do anything else, besides study, because I was in an Indian school board, which was cruelly strict, and extensive. There’s so much more to the story. I forgot all of that, in my quest to remember Dubai as a precious gem and keep it as such in my memory. I know I can’t go back to that Dubai in my head. The truth is, I don’t want to anymore. I will keep it as such in my memories. I will treasure the Dubai as it is right now if I ever go back. In addition, I will remember as much as possible to stay in the present moment. The only real moment there is, and forget about the fake made-up pasts and futures that exist now only in my head. Say goodbye to procrastination. Learn the steps you can take TODAY to build a morning routine. 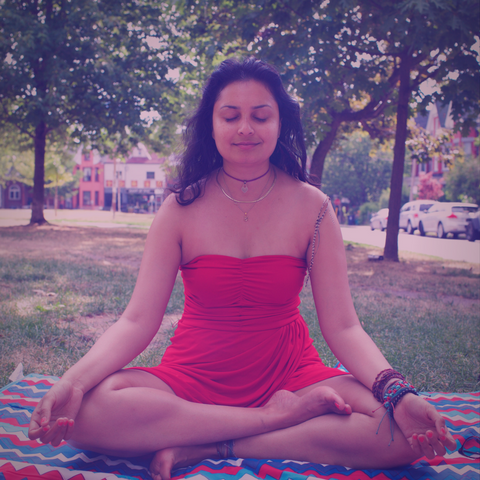 Boom Shikha is a wanderluster, yogi, and spiritual being hoping to use her talents as a communicator and an INFJ to bring peace and purpose to more people of this world. She wants to help you become a Digital Nomad, travel the world, while working on your passion-based business. Contact her at boomshikha at themillionairehippie.designextreme.com dot com if you want to learn more. So Much More To Learn! Sign-up for my 'Build Your Morning Routine' free email course.